Whoever said bigger is better never seen anything like this. This Lipstick Stun Gun will prove them wrong with its small design and powerful output of 3 million volts/ 4.1 milliamps of pure shocking power. 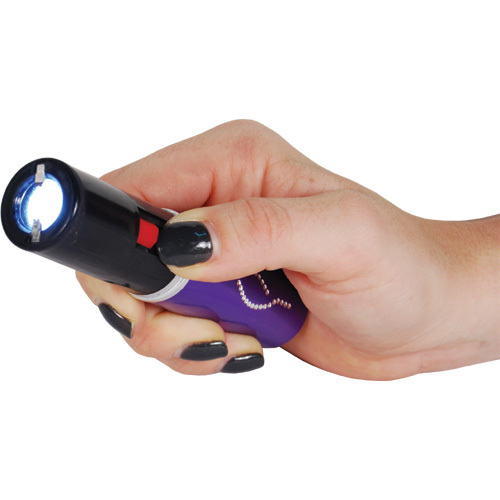 The Lipstick stun gun is rechargeable it comes with a charger you just plug into the bottom of the unit and then place the other end into the wall outlet. The stungun will hold a full charge for a couple of months. If it has been a while since you have charged it or you just want to make sure your device is still working simple test fire it in the air for a second or two before you leave your home or work. Stun guns cannot be shipped to Hawaii, New York, Massachusetts, Michigan, Illinois*, Rhode Island, Wisconsin*, or Connecticut.